This tutorial is for those that have a working knowledge of PSP. This tutorial was written by me on November 1, 2011 and any resemblance is purely coincidental. I use PSP 9, but any version should work. I do not allow my tutorials to be translated and please do not claim them as your own. If you would like to share the tutorial please send a link to my blog. Thank you! 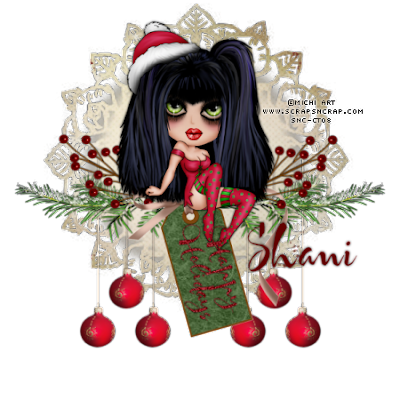 Tube/Image of choice: I am using art from Michi Art which you can purchase from Scraps n Crap here. Kit of choice: I am using a PTU kit from Wicked Princess called Cherished Moments which you can purchase here. Thanks for trying this tut I would love to see Your results.